With roughly a billion active user accounts worldwide, Gmail and Yahoo! Mail are two of the largest email service providers on the Internet today. Outlook (previously called Hotmail), AOL, Zoho Mail, Mail.com, and Comcast individually handle hundreds of millions of user accounts around the globe. Each one of these services (and even the lesser-known ones such as Inbox.com, Hushmail, and GMX) strive to provide the best experience for their users. As a result, each offers an advanced spam filtering system to prevent unwelcome and unwanted emails from reaching the user’s inbox. From the view of the user, these systems are essential and useful. But if you are running an email server or sending emails in bulk, these systems might mark your emails as spam. 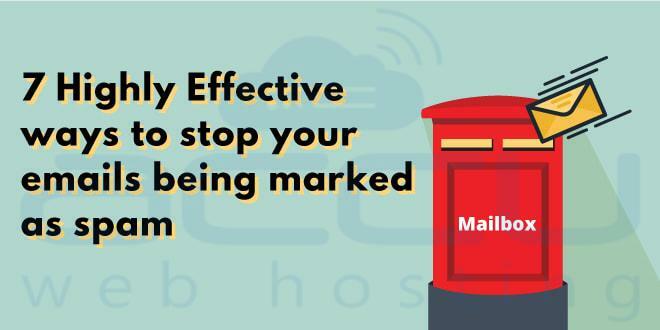 In this detailed piece, we are looking at some key strategies on how to make your emails land in the inbox folder instead of being detected by the spam filtering system. Basically, this post is for those who often get the emails in the Spam or Junk folder and those who want to improve their mail deliverability. Like Bill Gates said, content is king. But when the content is bombarded with specific words or phrases, content is committing a felony. These words and phrases are usually in the subject line or body of the email and can trigger the spam filtering system. Reputation is quite important! As you may know, whatever your reputation says is how people will treat you. And the same goes with IP and domain. Once the spam filters notice something fishy about your IP or domain, your emails will land in the Spam folder. In this case, you will receive an error message referencing the reputation of your IP or domain. 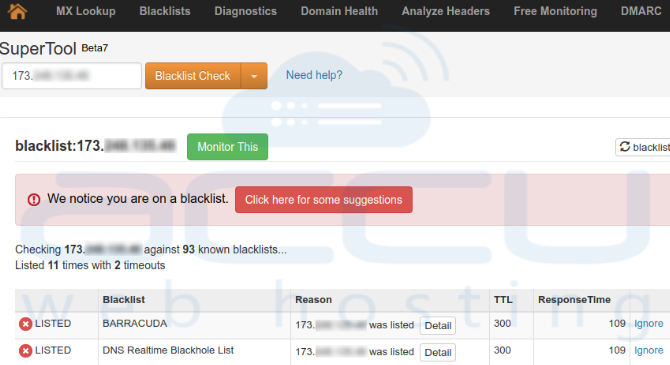 To fix this, there is a number of tools available online, which you can use to check whether your domain or IP address is listed under a Real-time Blackhole List (RBL) or Domain Name System-based Blackhole List (DNSBL). You can check out MxToolBox, MultiRBL, AntiAbuse, etc. And if you find your domain name or IP address listed under one of the lists, the next step is to contact the respective RBL or DNSBL and initiate a request to delist the domain or IP. You can read our article for well-detailed info. Information like relay server details is always included in the header of an email. If your email is relayed without first utilizing SMTP authentication, spam filters will definitely flag the email. 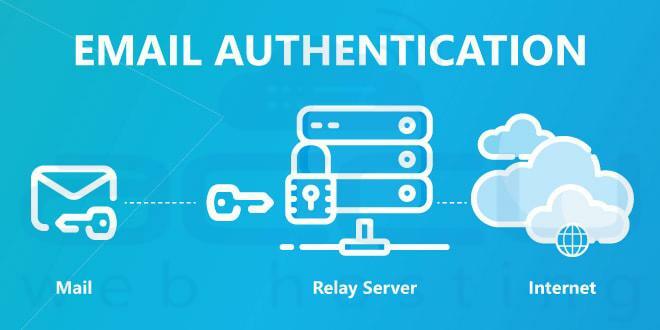 If you are sending emails from your web application, luckily there are several ways to use Authenticated SMTP relays in your website codes. You can check out our Knowledgebase for some coding scripts to send emails by using the SMTP authenticated relay. Whether you are using ASP.NET or PHP, the Knowledgebase features numerous SMTP Authentication scripts. Our next point is DNS records. Always ensure you have at least SPF and DKIM records to authenticate your mail server to send the emails for your domain. Using an SPF record generator like MxToolBox, you can easily generate SPF records. For DKIM records, you can generate them from your mail server. After generating both records, add them to the DNS zone of your domain to resolve the issue. 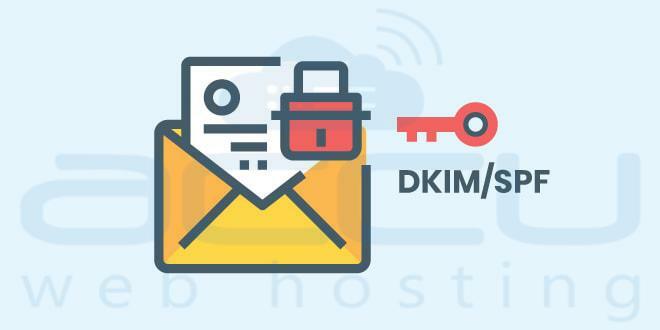 Here is an article on how to set up DKIM, SPF, and DMARC records. The problem might be tied to the shared email network you are using to send your emails. If another user of the network has once sent an unsolicited email, the whole IP address will lose its reputation. This is one of the few nightmares with share IP address. And once the IP address has been deemed unreliable by spam filters, your email campaigns will also be affected. Hence, it is highly recommended to have your own private or dedicated IP address and also add a valid PTR or rDNS record to the IP address of your mail server. To further secure your emails, you should install a security certificate on your mail server. You should also use secured TLS ports to send the emails because most email service providers favor receiving emails on secured TLS ports. By the way, we offer SSL certificates for mail servers, which you can check out on our website. Our Knowledgebase also has detailed information on how to install an SSL certificate on different mail servers, e.g. Exim on WHM/cPanel or SmarterMail. Use an opt-in or double opt-in subscribing process when creating your mailing list. Make unsubscribing from your mailing list very easy. Simply place an Unsubscribe link in the footer of each email and make it easy for the recipient to locate the button. Avoid spam-triggering words or phrases in both subject line and body. Use Google Postmaster Tool to determine the mail deliverability. Always encourage your subscribers to read the emails. Ask them to add your email address, i.e. the address you send them emails with, to their contact list. Keep monitoring the user engagement metrics. Check the guidelines provided by Google for bulk email senders. Spam Scores are used to determine if the incoming email is a spam or not. Each email service provider has specific spam filtering techniques, systems, and algorithms in which they use to calculate the Spam Score. Meanwhile, other criteria also impact the Spam Score. An incoming email is flagged as spam if its Spam Score is high. Once flagged, the system will direct it to the Spam or Junk folder instead of the intended Inbox folder. The system will also include the specific reason why the email was flagged. In contrast, an email is allowed entrance in the Inbox folder if the Spam Score is low. But if the Spam Score is extremely high, the mail server reverts the email back to the sender. 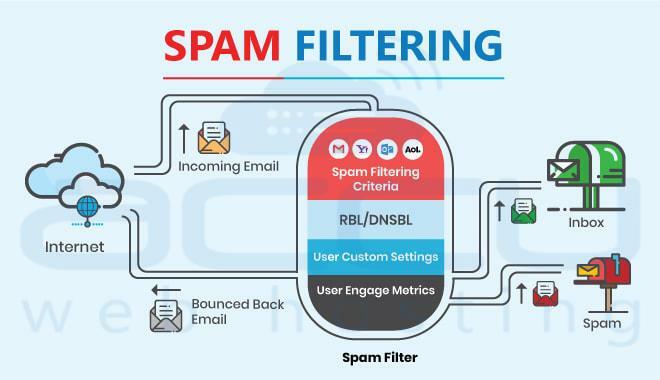 The image below is an illustration of the spam filtering system. Giant email service providers such as Gmail and Yahoo! Mail use their own spam filtering algorithms to differ spam emails from solicited ones. The algorithms are quite effective and always direct the unsolicited emails to the Junk or Spam folder. But sometimes, solicited emails are marked as spam/junk even though the subscriber has been anticipating the emails. This makes it difficult to pinpoint the exact mechanism behind spam filtering algorithms. However, our 14 years of experience has opened our eyes to some interesting facts, which are below. Server IP Address Reputation: Several RBLs have been set up by some non-profit organizations to stop spamming. These lists monitor spam activities and determine the reputation of a mail server IP address according to their reports. Even though Gmail has never affirmed any connection between their spam filters and an RBL, we have found that the filters mark emails from RBL-listed IP addresses as spam. In some cases, the filters even reject the emails. Domain Reputation: Similar to RBLs, DNSBLs monitor the reputation of mail domains. These lists are based on spam reports all over the Internet. In the case of Gmail, emails from DNSBL-listed domain names are either marked as spam or rejected. Mail Authentication: If without server or domain authentication, Gmail spam filters will mark the emails as spam. Mail Content: As stated earlier, the spam filters are easily triggered by the use of certain words or phrases regardless if they are in the subject line or body. The common ones have been listed above, but you should check online for many more. Mail Header: The mail header carries information about the mail sender. If the ‘From’ and ‘Reply-To’ addresses are different in the mail header, the email will be marked as spam. User Engagement: Users can manage their spam/junk emails by creating custom spam filtering rules. Moreover, email service providers generate metrics (like Open and Click rates, which are based on users’ activities) to determine if an email should be received in the Inbox folder, marked as spam, or automatically blocked. Do note that Gmail, Yahoo! Mail, Outlook, and other email service providers use their own exclusive spam filtering systems. However, following the strategic steps listed above will enable you to bypass the systems and ensure your legit emails land in the inbox folders. If you’d like to share a tip or ask a question, feel free to use the comment section below.